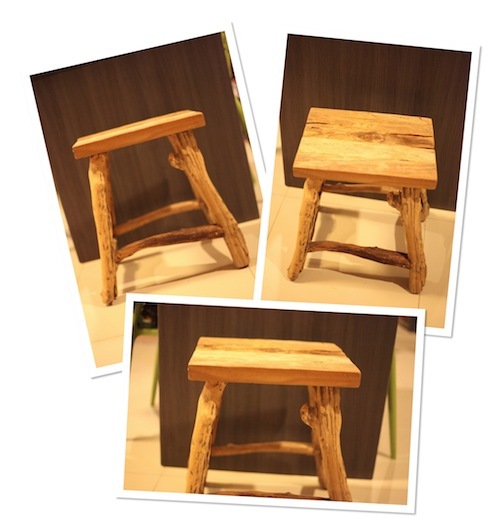 I'm loving this unfinished wooden stool I found at Le Souq Kemang a while ago. It gives an outdoorsy vibe to my dining area. Something that it badly needs. It can serve as a chair, or as a landing area for my bag and stuff when I get ready for work or just get home.